Manila, Philippines - A video posted on Facebook showing a British girl who can sing and speak in Tagalog and Bisaya is now viral online. The girl named Charlotte Goldsmith is seen talking to her Filipina nanny in a video uploaded by I Am Philippines Facebook page. The viral video with a total length of 2 minutes and 29 seconds garnered more than 13,000 Likes and 35,000 shares as of press time. 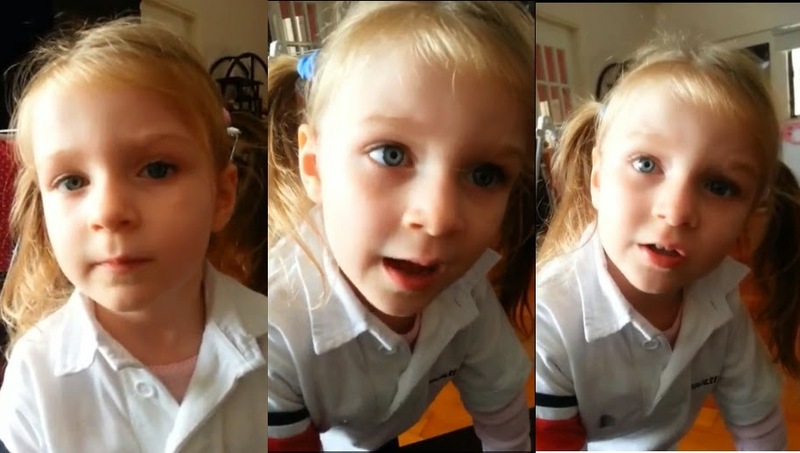 In the video, Charlotte answered some questions from her nanny. The girl said she's nearing 4 years old and her parents' are Megan and Christian. Charlotte was asked to sing Bisaya song 'Lawa Lawa' and Tagalog folk song “Leron Leron Sinta." When asked what else she wants to sing, she said “Nanay Tatay." She also showed that she can count from one to ten in Tagalog. Post by I AM PHILIPPINES.